Welcome to TransLex Italian, a boutique legal translation agency, run by a former corporate lawyer, with expertise in Italian, English and European law. French translation is also offered. 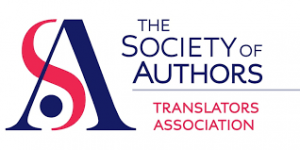 TransLex Italian was formed in response to requests from clients requiring help from translators who possess not only translation skills, but also a detailed understanding of Italian, English, and, where necessary, European and International Law. TransLex Italian has the required specialist experience and understanding of the commercial demands of domestic and international business and provides accurate, fast translations, ensuring service to clients in the competitive commercial environment. At Translex Italian, we provide linguistic support to law firms and businesses, as well as legal research and opinions. As former legal professionals, we have a clear insight into the needs of our clients. With the requisite experience in both language and business, we have the skills to help our clients succeed in both the English and Italian business markets. Clients include domestic and international law firms, local authorities, in Italy and in English speaking countries, and businesses of all sizes. As a former lawyer, with years of translation experience and a Masters degree in Bioethics and Medical Law, Alexandra Singer (LLB, MA) is able to ensure that every client receives the translation and, where required, the interpretation of the documents. After achieving a degree in Italian and History at the University of Birmingham and La Sapienza Università di Roma, Alexandra Singer, director of TransLex Italian, worked in Italy until she returned to England to complete a law degree in London. She trained at Norton Rose Fulbright in international corporate law, before completing a Masters degree in Bioethics and Medical Law. She lived in Italy for many years, primarily in Rome. With her love of the Italian culture and language, and her continued study and fascination with the law, she is committed to using her legal and language skills to help businesses and lawyers transcend the boundaries of language and achieve their goals. With substantial translation experience, Alexandra is qualified to meet the specific requirements of each client. Alexandra works together with carefully chosen and familiar Italian and English translation colleagues who are well qualified to assist on large projects and during frequent busy periods. Alexandra personally supervises and checks all work and for each project compiles the necessary style guides and glossaries. Brexit: cosa succede agli italiani che si trasferiscono in UK. Receive notifications of new articles from TransLex Italian.